Nowadays, Back pain is one of the common problems in men and women. 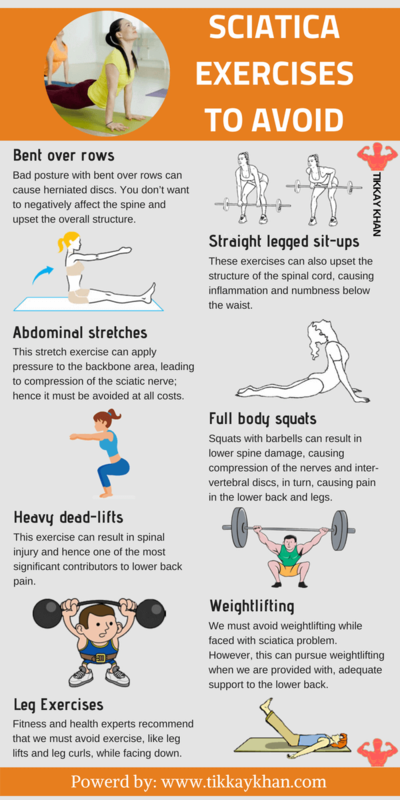 You can get rid of back pain through exercises. There are different back pain exercises which can help you to reduce your back pain at maximum level. These back pain exercises performed by the professional trainer and recommended by the therapist. The most beneficial thing you can perform these back pain exercises at home without any trainer. Let’s know deeply about these back pain exercises! BACK PAIN is one of the top three causes of time off work, and 80% of the adults will experience, significant low back pain during their lifetime. Low back pain usually involves muscle spasm of the supportive muscles along the spine. Pain, numbness, and tingling in the lower back or below hip area can be related to the low back pain. Prevention of low back pain is extremely important so that they don’t recur in future. However, as the saying goes: “Prevention is better than cure,” it is ideal for us to remember this at all times, to lead a painless, risk-free and healthy life. Back pain treatments are unique and will depend on your pain and the underlying causes of an individual. It will certainly differ from individual to individual problem, so it will be apt to say that the type of treatment plan will depend on one’s symptoms and response to physical therapies. We must identify the underlying factors that may be causing the pain and therefore supports long-term relief and can ensure that we return to our normal daily life activities. Below are the best back pain exercies which can help you relax your muscles and you can get rid of back pain fast. While lying on your back with bent knees, lift one leg and hold on to it with one hand and then lift and hold the other leg. Pull both knees gently closer to your chest, hold for a count of 5, then relax your arms but don’t let go completely. Repeat the hug and relax. Some people prefer to hug one knee at a time while some hug both their knees, hence the choice of how to go about executing the stretch or exercise, depends entirely upon you. Lying on your back with your knees bent, lift one knee and hold your thigh with both hands behind the knee. Gently straighten the knee that you are holding and hold for a count of 6 seconds. Repeat the same with the opposite leg. Half push-ups: Lie on your front on a firm surface, with your hands under your shoulders, palms down. Look up and push up, lifting your head and shoulders up with your arms. Keep your hips on the floor. Hold for a count of 5 and then gently lower yourself back down. To start with, you may not be able to lift your shoulders far. As you become more flexible, work towards trying to straighten your arms, still keeping your hips on the floor. This exercise method is super beneficial in the long run, only if you do it consistently, even if means only for a little time. The sciatic nerve is the human body’s longest nerve, beginning at your spinal cord and going down through your hip, buttocks and the branching down to each leg. This nerve is important because it affects your ability to control or feel your legs and if this nerve becomes irritated, bruised or compromised, then, in this condition sciatica occurs. Sciatica is a sensation that causes weakness or numbness in the sciatic nerve (hips, the lower part of the hip and legs) and can cause moderate or severe pain. Sciatica is a symptom of an underlying injury to the nerve or to an area that impacts the nerve, such as bones in the neck and back. A massage encourages the release of pain-fighting endorphins which can provide temporary relief from symptoms like the throbbing pain in your foot or the burning sensation in your leg. We must identify the underlying factors that may be causing the pain and therefore supports long-term relief. Our goal must be to stay fit, but at the same time, we should be mindful that we must take suitable precautions and never start any exercise without the consultation of a health therapist or an exercise expert. Slowly lean forward until you feel a stretch in the front of your shoulders. Hold in that position for 15 to 30 seconds and repeat the same three times. The thoracic extension will be to sit in a chair and clasp both arms behind your head. Kneel on all fours, with your knees under your hips and hands under your shoulders. Try to keep your back and neck fairly straight and don’t lock your elbows. Slowly move your bottom back towards your heels. Hold the stretch for one deep breath and return to the starting position. In some cases, a small open surgery using magnification has opted which is also called Micro-discectomy. In both of these procedures Discectomy or Micro-discectomy, the surgeon removes all or part of the herniated disc that’s pushing on your sciatic nerve and causing your sciatica symptoms. The difference between the procedures is that a microdiscectomy is a minimally invasive surgery, which has a relatively high success rate in relieving sciatica pain. If the issue is related to a herniated disc, a surgical procedure called laminectomy will be performed, in which, a portion of the posterior arch is removed to relieve pressure on pinched nerve tissues. However, in case of spinal stenosis, the part of the bone that is putting pressure on the sciatic nerve system can be removed. Piriformis is a muscle located in the lower hip, in the buttocks, to be precise. The three processes that have to be followed are stretching, massage and strengthening. Stretching: The first step is to lie down on a yoga mat and make both knees in a bow shape. Piriformis muscle could pain on either side of your buttocks. Hence, you would know which side is a pain so accordingly you must take that side leg and cross over the other leg in such a way that the lifted leg rests on the knee of the other leg. After this, you slightly pull the bended knee diagonally towards your shoulder, and you are sure to feel the pressure of the Piriformis muscle. Do not exceed 30 seconds of time. Be careful not to stretch too much else you may not be able to get up because of excruciating pain, emanating out of the affected muscle. Massage: Sometimes Piriformis has a slight tear in it, and maybe that’s why it is not healing quickly. Once the pain area narrowed down, you could get 3 or 6-inch roller and place it beneath your buttock and keep moving back and forth till you have a pain relieving the feeling. You must start feeling better in 20 seconds. You could also a tennis ball for a more aggressive move. Strengthening: For strengthening purpose, you could like flat on your stomach and cross one leg over the other in an angled position so that your legs form like the digit 4 and then you could go sideways so that the Piriformis muscle gets strength. To begin with, we must make an effort for gentle spinal movements, which is an excellent way to warm up the body. However, if we wish to perform difficult or complicated while releasing stiffness in the mid back, we must always begin with slight spinal movements so that we can warm up and then move towards strenuous movements. We must start with our wrists directly under your shoulders in all four position, and our knees must be under your hips. We should make ourselves comfortable, and to do that, we can rest our knees on a blanket, if we feel uncomfortable. You must never attempt to do any stretch or exercise if you are nervous or experience pain as it may be risky and complicated. Next step will be to spread our fingers wide so that our body weight gets distributed evenly throughout our hand and we don’t run the risk of leaning clumsily on one side and hurt ourselves. After that, we must press our palms and finger pads into the ground so that we can avoid putting weight on the wrist. We must inhale slowly thereby sending our pelvis upward direction and chest forward, pushing the belly towards the floor and pulling the face-up. While we breathe out, we must arch our backward like a cat. We will be rounding our spine, pulling in our lower abdomen area and our head will hang loose. We should repeat this process for 5 – 7 times, and we will feel that our spine is beginning to open. At such a stat, we must allow our stretch to deepen, and we will warm ourselves up quickly. Passive back bend is beneficial to relieve tension, especially after a long day’s work. We must try to hold this position for as long as we can withstand or bear, ideally for at least three to four minutes. If we were to bring this stretch or exercise pattern into your daily routine, it will undoubtedly increase the flexibility of the back, helps combat tension and is detrimental in improving our body posture. Relax into the posture, if required, you could use, as a support, a pillow to support under your head, the second blanket while keeping your breath deep and long, so you can feel the pain getting relieved. Seated Twists work magic for your pain to diminish and give you instant relaxation. They are an excellent way for you to release the middle back pain and more importantly improve your body flexibility. According to yoga philosophy, twists help us in the same manner how clothes get wrung out in a washing machine after clothes have been washed the excess water from clothes get removed similarly twist also wring out the internal organs and boosts detoxification, which means all the toxic substance from your body gets removed, resulting in better immune system and hygiene too. Seated spinal twists create a healthy back which is so important as we get older. We must keep our spine healthy to avoid bone loss or loss of flexibility, in our spines. To do the seated twist, we must sit on a chair nice and tall. We must hold one side of the chair and turn our upper body first to the right side, holding and breathing as we turn and then come back to the center posture after which we will repeat the same to our left. Lower Tummy Strengthening exercise is an extremely gentle exercise in which you have to lie on your back, and you may bend your knees bent while keeping your feet intact, flat on the floor and not raise or move them. While you inhale and exhale, we should bring one of your knees inwards which will move towards your chest and as you inhale you may return the foot to the floor, to its original position and you may repeat this exercise 6 – 8 times on each leg. Physical therapists recommend that we must focus on strengthening our lower abdominal muscles since they work hand in hand with our lower back which means if the lower tummy muscles are weak, then in this scenario, the lower back can tighten up, which can lead to lower back pain. Almost all the exercises can be done at home conveniently and the below practices may be useful and beneficial if followed religiously. The idea that exercise needs to be strenuous or demanding isn’t accurate. Simple general movements will increase your fitness, flexibility, and strength, even if we do these exercises for a short period. In fact, our eligibility depends on a few basic movements that we can follow to keep the back loose and flexible. Rocking is a general movement which does preliminary loosening of the entire body. Lie down on your back and keep your heel intact. Just move the feet up and down. Next, you get on all fours and slightly lift both your foot somewhat from the floor while holding your hands on the floor and move from side to side only with the help of your knee. This position is a safe and effective way to loosen up the back muscles and great for the lower back. As the muscles become loose, you can do more rigorous exercise such as cat stretch on your back. Lying down on your back, you will place both your arms in a slightly angled position and leave both your foot in a knee-bended position. Using the floor for exercise, reduces the effects of gravity on the spine, thereby allowing greater and safer movement. Finally, while still lying on your back; you can move your upper body from side to side, called the wiggling exercise, which provides lateral flexion to the spine. Lateral flexion is often over-looked in exercise movements which are an easy-to-do alternative to complicated or strenuous yoga stretches. Regular exercise now meaning presently, can help prevent debilitating low back pain in the future. Activities for back pain with pictures are available online and is an excellent reference material for all us who might want to get rid of lower back pain, once and for all, if not, keep back pain at bay. Exercise is one of the best ways to combat the effects of sciatica. However, how you should exercise is just important? Remember, not all fitness routines will help your disorder or help in alleviating your pain. We must avoid the following exercises if we suffer from sciatica problem. muscle, which can affect the sciatic nerves indirectly, only serving to worsen your injury. Bent over rows: Bad posture with bent over rows can cause herniated discs. You don’t want to negatively affect the spine and upset the overall structure. Spinal injury can get worse with immense pressure in this stance. This pressure can expose the root nerves, resulting in inflammation and infection. Straight legged sit-ups: These exercises can also upset the structure of the spinal cord, causing inflammation and numbness below the waist, the worse part is that permanent nerve damage can occur, at times, hence it is best to avoid such strenuous exercises which might be damaging. Abdominal stretches: This stretch exercise can apply pressure to the backbone area, leading to compression of the sciatic nerve; hence it must be avoided at all costs. Full body squats: Squats with barbells can result in lower spine damage, causing compression of the nerves and inter-vertebral discs, in turn, causing pain in the lower back and legs. Heavy dead-lifts: This exercise can result in spinal injury and hence one of the most significant contributors to lower back pain. Weightlifting: We must avoid weightlifting while faced with sciatica problem. However, this can pursue weightlifting when we are provided with, adequate support to the lower back. Leg Exercises: Fitness and health experts recommend that we must avoid exercise, like leg lifts and leg curls, while facing down. When performing leg exercise, we tend to apply pressure to the lower back region and harm the spinal cord, worsening your condition, however, if you still wish to or want to do this exercise, it will only help in strengthening the back muscles. But before you decide to go with this exercise routine, you may want to consult with a professional fitness trainer who can come up with a safe exercise plan for you to follow to prevent sciatic nerve pain. E.g., Pelvic tilts are great for those who suffer from sciatica. There are several videos to learn from and to take advice concerning sciatica exercises online especially, the YouTube videos. Following are a few links to youtube videos explaining Sciatica exercises for back pain, for your quick and ready reference. Knee rolls: Lying on your back with bent knees, let your knees roll to one side, keeping your knees and feet together. Stay to one side for a count of 5 and then turn to the other side. Arching and hollowing: Start on all fours, hands under shoulders, knees under hips. Arch your back upwards, letting your head drop and hold for a count of 5. Then reverse this posture: lifting your head and looking up, relax your tummy and stick your behind out, staying till we count of number 5. 1. Press-up: Lie on your stomach, supporting your body with forearms. Press your elbows down into the floor to raise your upper back. As you do this, relax your stomach muscles and allow your back to arch without using your back muscles. As you press up, do not let your hips or pelvis come off the floor. Hold in this position for 15 to 30 seconds and then relax. You may repeat this 2 to 4 times. Alternate arm and leg(bird dog) exercise: It is important to note that you should do this exercise slowly and gently. Try to keep your body straight at all times and do not let one hip drop lower than the other. Start on the floor on your hands and knees. Tighten your belly muscles and raise one leg off the floor. Hold it straight out behind you. Be careful not to let your hip down because that will twist your trunk. Hold for about 6 seconds then lower your leg and switch to the other leg. Repeat 8 to 12 times on each leg. Over a period, work up to holding for 10 to 30 seconds each time. If you feel stable and secure with your leg raised, try raising the opposite arm straight out in front of you at the same time. 2. Knee-to-chest exercise: Lie on your back with your knees bent in an arched position and keep your feet flat on the floor. You can move one knee towards your chest while you hold the other foot flat on the floor. After this, you must keep your lower back, grounded on to the level allowing yourself in that position for fifteen to thirty seconds. Once the specified time is over, you have to relax and bring your knee to the original starting position. Repeat the same pattern with the other leg, repeating about 2 to 4 times, with each foot. You must always remember to follow the timeline strictly and not exert yourself too much, since you may risk a spasm, fracture or injury easily. If you would like to get a better stretch, you may put your other foot grounded on the floor and simultaneously pull your knee towards your chest. 3. Curl-ups: Lie on the floor on your back with your knees bent at a 90-degree angle. Your feet should be flat on the level about 12 inches from your lower end. Cross your arms over your chest. Slowly tighten your belly muscles and raise your shoulder blades off the floor. Keep your head in line with your body and do not press your chin to your chest. Hold this position for 1 or 2 seconds then slowly lower your back down to the floor and repeat this 8 to 12 times. 4. Pelvic tilt exercise: To do this pelvic tilt exercise you must lie down with your back flat on the floor while keeping your knees will be bent in an arch-like posture. “Brace” your stomach and this means to tighten your muscles by pulling in and imagining your belly button moving toward your spine. You should feel like your back is pressing to the floor and your hips and pelvis are rocking back. Hold in this position for 6 seconds while you breathe smoothly, you may repeat this exercise 8 to 12 times. 5. Heel dig bridging: For this position, you must lie down with your back, grounded to the floor with both knees bent, and your ankles bent so that only your heels are digging into the floor. Your knees should be bent about 90 degrees. Then push your heels into the floor level, squeeze your buttocks and lift your hips off the floor until your shoulders, ensuring your hips and knees are all in a straight line. Hold in this state, for about 6 seconds as you continue to breathe normally and then slowly lower your hips back down to the floor and rest for up to 10 seconds, you may repeat this exercise 8 to 12 times. 6. Hamstring stretch in the doorway: Lie on your back in a doorway with one leg through the open door. Slide your leg up the wall to straighten your knee. You should feel a gentle stretch down, on the back of your leg. Hold the time for a minimum of fifteen to thirty seconds. Do not arch your back but point to your toes or bend either knee. Keep one heel touching the floor and the other heel touching the wall. Repeat with your other leg. You may do this exercise 2 to 4 times for each leg. 7. Hip Flexor Stretch: Kneel on the floor with one knee bent and one leg behind you. Place your forward knee over your foot. Keep your other knee touching the floor. Slowly push your hips forward until you feel a stretch in the upper thigh of your rear leg. Hold the stretch for at least 15 to 30 seconds and repeat this with your other leg. You may do this exercise 2 to 4 times on each side. 8. Wall sits: Stand with your back against the wall. With your feet 10 to 12 inches away from the wall, lean into it until your back portion is flat against it. Slowly slide down until your knees are slightly bent pressing your lower back into the wall. Hold in this position for 6 seconds then push back up the wall, you may repeat this exercise 8 to 12 times. Mayo Clinic wants to share the latest advances in treating arthritis, migraines, low back pain, fibromyalgia and painful illness and injury. Mayo doctors know how pain interferes with sleep, work, social life and every activity than an individual aspires or wishes to do. For the patients to lead a healthy life, they help them in dealing with these challenges in their everyday life. Part 1: Understanding chronic pain – To control your pain, you need to understand how it develops. Part 1 discusses the anatomy of illness, the elements of your body which are involved, in the development of pain and why some people respond to pain differently than others? Part 2: Treating chronic pain – This section explains the various options for treating pain wherein we can learn about the different drugs used to treat depression, why some medications are more useful for certain types of pain, potential side effects and more. Besides, you’ll learn about other types of treatments that are available, such as pain-site injections, nerve stimulators, and medication pumps as well as alternative and complementary therapies. Part 3: Managing chronic pain – Part 3 focuses on strategies for managing chronic pain so that it doesn’t interfere with your life. This self-care section covers steps that you can take on your own to get yourself, on course to life, with less pain, including details for designing your person pain control program. CAN I RUN WHILE HAVING LOWER BACK PAIN? Running is an activity that involves repetitive stress and impact, sometimes for a long duration. People who have an underlying lower back problem can find running or jogging, makes their pain worse or leads to additional types of pain, such as sciatica (leg pain, weakness or numbness). Running while having a lower back pain is indeed a risky proposition which we should not overlook and seek medical advice along with the expert opinion of a sports or a track champion. Since the disc is the shock absorber of the lower back, running or jogging puts a repetitive impact on the spine puts stress & strain on the disc, on the back side of your body. If such a running or joggling leads to more or additional back pain, it is wise and necessary to get a thorough evaluation done by a spine physician. At any cost, we don’t want to take undue risk and jeopardize our fitness or overall health besides the vital purpose of getting a pain free remedy is lost. It is also important to know when to seek treatment and what types of treatment to expect? Lower back pain often comes on quickly, after bending or lifting the wrong way or perhaps after running too far before warming up. Lower back pain comes in many different varieties; the most benign of which is muscular strains and pains which are characterized by lower back muscle spasm and pain that is centralized in the lower back. This type of pain does not travel into the buttock or legs (radiating pain is known as sciatica or radiculopathy). Low back pain brought on by muscle strain is best treated by a variety of self-care techniques and perhaps stopping the running for a week or so as those symptoms resolve. The disc is the shock absorber of the lower back. When running or jogging, the repetitive impact on the spine puts stress on the disc. If someone has a damaged disc, the repetitive stress that can lead to a severe increase in symptoms. 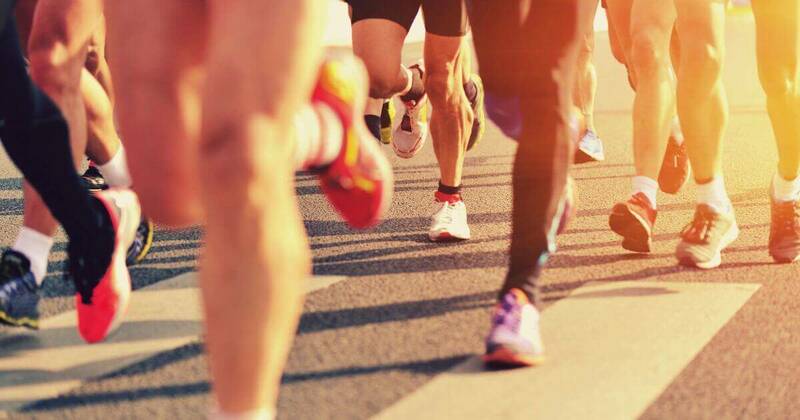 Runners who find that they have consistent and steady lower back pain even after a workout, should consider getting a thorough evaluation by a spine physician, as sheer negligence can eventually lead to Heat fatal results. It may be true that running on a treadmill is by far the most sought-after exercise by people of all age groups, around the globe. It is mainly useful for people who are not comfortable to go out in the open and are a bit shy to go in public may be because they are too fat and not shape hence are super conscious about how others might ridicule them, and some are just lazy and want to work out indoors. Regular running can reduce your back pain to some extent, but for a proper treatment, you should perform back pain exercises fully. However, it is always advisable to go for long walks, out in the open nature rather than indoors since you run the risk of getting an infection, less oxygen environment and mostly all the gyms or work out places are usually air-conditioned hence may not be ideal, from the fitness point of view. Looking forward meaning you should make sure that you are not looking at things to the side but only looking ahead of you. Keeping a good posture: It’s essential to maintain a good position while on the treadmill because it is easy for you to slouch or not be thinking about it as you get tired. At all times remember that we are standing tall with our shoulders back on the treadmill, else you will only end up making the lower back pain more severe. 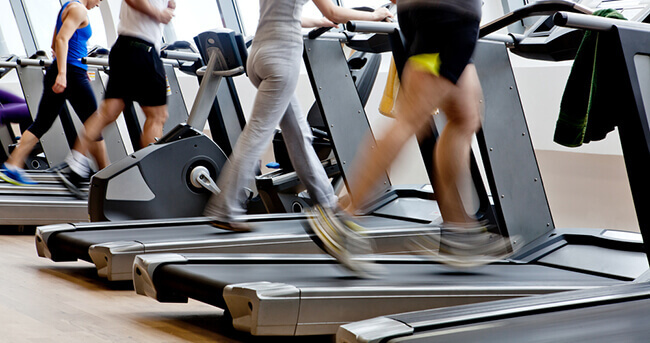 Slapping your feet on the treadmill is not an ideal way to exercise or walk on the treadmill. If you can hear yourself running, then try to think light and quick since you want your foot falls to be much quieter. Do your own thing and don’t get distracted. Be it, kids, dogs or family members, whatever it is, there is a significant risk of you falling off your back from a treadmill. Repeating the same exercises over and over again only using the same muscles to work out day in and day out can cause repetitive injury and only harms you more instead of helping. Hence, make sure to switch it up and avoid this method of mundane exercise. Swinging your arms – the best way is to move your arms forward and back preferably in 90 degrees, and another method of moving your arms is the chopping method where your arms are going up and down consecutively as though you are chopping vegetables. The built-in programs on the treadmill are great however you need to program it to your level at all times. You must at all times try and avoid relying on the handlebars. You must not use them unless you are cranked up on a high incline or fear that you may fall off, the treadmill without support. You must work out without the help of handlebars and move your body freely so that you get the better benefit of the whole exercise thing on the treadmill. We must always remember that how we are running could affect the back pain that we are having. The first mechanical deviation that we see is the heel strike and the leg out in front of the general setting of mass. When we hit the heel hard, then the knees get locked out, and hip muscles get strained. When we jump up and down, we can feel a terrible effect on how worse we feel. We must remember is that we must never dig on our heels when we run. We must always tip-off on our toes. Generally, the lower back tightens and pain while or after running because of acute pain in the lower back muscle. Usually, the backache starts at the hip level because they lack mobility around the hip area. So the pain cascades down from the hip below to the lower back area. The other reason for lower back pain is that the hamstrings become tight due to running. There is a pressure build-up caused in the lumbar resulting in back spasm. We must always do any exercise methodically and thoughtfully. We decide to run or exercise out of the blue and get to it. It is sensible to follow things and do things in a step by step & orderly process. We must always warm up before starting to run. Muscle can perform better with mild warming up, and you will not feel the strain coming on you all of a sudden. We can go for a walk or jog for about 5 to 10 minutes which will prepare our body muscles and thereby rule out the spasm or stress on the muscles, to a large extent. A light yoga exercise is also beneficial before running as it eases the muscles. At times, too many exercises or running might be a cause of lower back pain hence we need to take necessary precautions and practical advice from fitness experts before indulging in large practices or long-distance running. I was having so much of pain in my lower back since last few days. Luckily I have got to know about this article. I hope these exercises gonna help me cure my back.